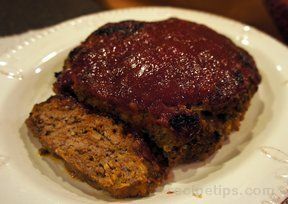 This meat loaf gets its great flavor from barbecue sauce and Colby Jack cheese. 1. Preheat oven to 375°F. Mix all ingredients except barbecue sauce and cheese in large bowl until well blended. 2. Shape meat mixture into a loaf. Place in foil-lined baking pan or 9x5-inch loaf pan. Top with barbecue sauce. 3. Bake 55 minutes. Sprinkle with cheese. Bake 5 minutes longer or until cooked through.